I had a momentary flash of insight on Monday. It followed a relatively successful navigation of a route along Bristol’s Malago Greenway, as suggested in Travel Bristol’s “Cycling. 10 Short Leisure Routes Around Bristol, Between 2 & 16 Miles”. I was surprised and pleased to find that direction signs were plentiful and that most of them could be seen and read as I cycled along. It wasn’t very scenic and a lot of the journey was on ordinary streets or low-grade shared footpaths but I did get to see some interesting bits of Bristol that I would otherwise have missed. But that wasn’t surprising. 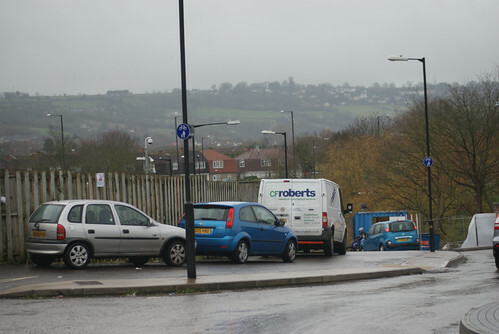 Cars, lorries and taxis regularly park on cycle paths in Bristol. It was only as I set off homewards and noticed, again, how tricky some of the barriers, crossings and shared paths were that the flash of insight came. It’s so obvious it’s hardly worth mentioning. The fact is that cycling provision in English cities is designed for expert adult cyclists. The route I had been following used signposts to help me weave a way through busy streets, on, alongside and across some very busy roads. It took me through barriers that needed deft bike handling and it demanded careful attention to lots of conflicts with pedestrians, emerging driveways and motor vehicle traffic. The booklet I was using lists the Malago Green Way route as Level 2 (“slightly more experienced cyclists”). Level 1 is for “all users including inexperienced or beginner cyclists” and there are two such routes included. Both of these include sections that few parents would be happy for children under 12 to use, and both would present problems for genuinely novice adults. Perhaps what the authors of the guide really mean is that these routes would be suitable for beginners with a more experienced guide who had scouted the routes inadvance. That would make sense. In the meantime, cycling to school remains rare – especially for primary pupils. Cycling for fun means taking children to off-road sites. The roads and highways are for confident and experienced adult cyclists. 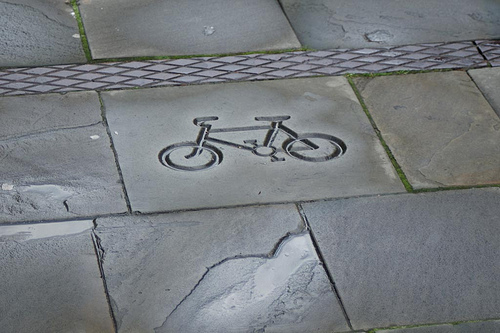 It’s not surprising that a lot of children and less confident cyclists just use footpaths – without any awareness of traffic conventions or regulations. The irony is that expert and confident cyclists have already learned to cope without cycle lanes, ASLs, shared pathways and toucan crossings. What I observe is that a lot of them ignore the specialised facilities and simply use “desire lines” that go from their A to their B with an optimum combination of efficiency and safety. The courageous Council of the future will build cycle-only routes that enable primary school children to cycle to school without any contact with cars or lorries and without parental supervision. That’s when the revolution will have taken place. 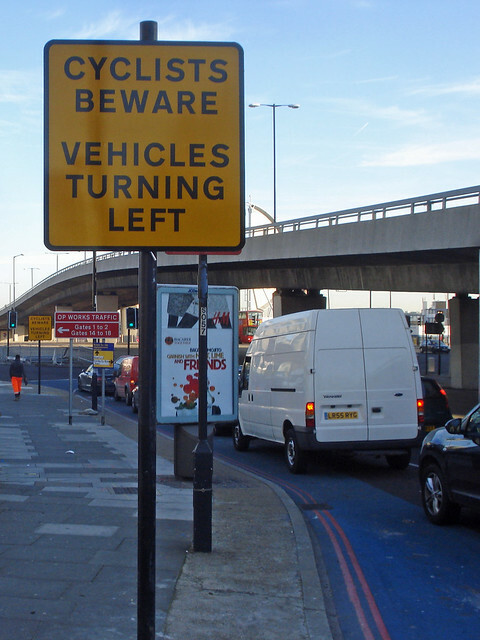 The second thing was Diamond Geezer’s blog that reported new signs being put up at the notorious Bow Roundabout in London. They include this one. Together, the report and the blog prompted me to return to the data on attributions made in police reports mentioned in Considerate Cycling 5 . They prompted me to reconsider how much the “failing to look” reported by police or the “sorry, mate I didn’t see you” (SMIDSY) syndrome might simply be a consequence of what the mobile phone researchers found: normally competent people driving or riding over the limit of their cognitive capacity to stay in full control. On top of all the other novelties and complexities, The Department for Transport last year gave the go-ahead to local authorities to start using more road signs in local contexts without the strict controls that have reduced the range of messages and without the legal procedures that have made putting them up more costly. So it looks as though more, and more idiosyncratic, signage is coming our way soon. There will be a lot of people who simply don’t know what these signs mean. I wonder if anyone knows of more specific evidence relevant to my hypothesis? The hypothesis is that there comes a point where signs and markings stop being helpful and start being part of the problem. That point would be a function of the variety, number, novelty and complexity of the signs . Road layouts need to be well designed, and part of the design would call for optimum signage with minimal clutter. This looks a bit abstract. What would you do once you had seen it? I suppose the lack of gravity in space would make cycling easier though. 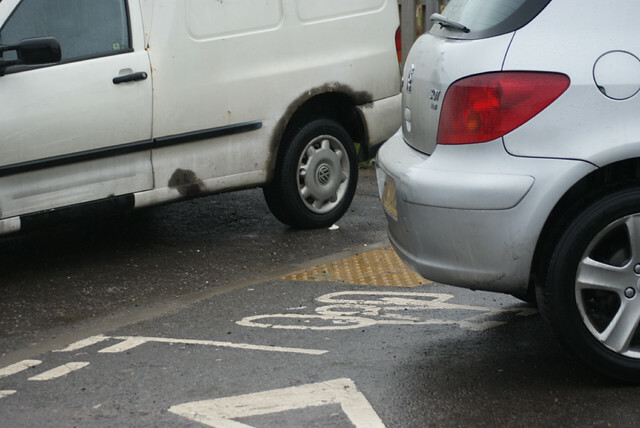 Considerate Cycling 5: Safe At Any Speed? The display format for graphs and tables in this piece did not survive the transfer from Blogger. The original is still there with all its statistics.